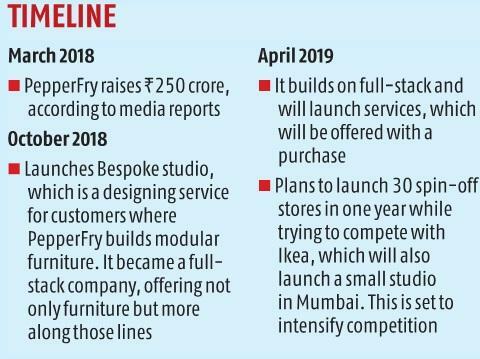 Mumbai-based furniture company PepperFry is gearing up to launch its home services vertical soon. It is also preparing to roll out 30 spin-off stores for its in-house brands in two months. The first one will be in Mumbai. The company has been strengthening its depth since last year when it launched (soft launched) designing services in October and announced it in December. Not just PepperFry, its international competitor Ikea is also going to launch a slew of stores in Mumbai within the next three months. Unconfirmed reports suggest that the Swedish furniture company, which entered Hyderabad last year, is looking at opening a small studio in Mumbai within the next two months, and later this year, it will open a full-fledged store. Critics of Ikea have said the company is too big to be nimble and it has been evolving in India. “It has changed a little. Instead of asking demand to come to it, Ikea is going to demand,” said an executive in one of the two home-grown furniture start-ups. And that’s where PepperFry and Urban Ladder come in and why they’re both launching stores. And because of Ikea’s value-for-money tag, the two companies will also have to launch similarly priced products to compete in the market. Inherently, as both companies have realised, buying furniture is an offline experience. “We attribute 30 per cent of our sales to our studios,” said Ashish Shah, chief operating officer (COO) and co-founder, PepperFry. How does it do that? “No one can make a physical purchase from the store. The order is logged online, so that’s one way. Every customer who visits a studio gives their email address and number. So, we check if those details have been logged in in the last 60 days,” he added. In the next few months, PepperFry plans to launch home services akin to UrbanClap. The company will start with polishing and cleaning furniture and Shah does not rule out graduating to other home services such as house cleaning either. “We want to be a company associated with home services as well,” he said. The company has been working along those lines for a year, especially when it launched its designing services last October. “The average order values here are huge. Sometimes as much as Rs 5 lakh,” he said. Shah believes that creating a full stack is going to be the way forward, considering much of the market it operates in is largely unorganised. While Urban Ladder doesn’t have similar ambitions, it believes the way to beat competition will be with products customised for India. But the path forward is going to be far from easy. Recently, reports emerged that the Bengaluru-based companies may lay off a few of their employees soon as they get ready to tighten their belt. Urban Ladder has also been trying to raise its next round of capital for a while and so far has found it difficult to generate investor interest to complete the round it needs. 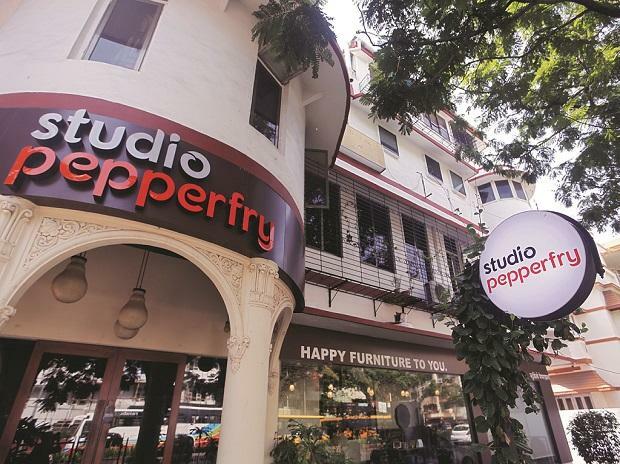 PepperFry, meanwhile, raised Rs 250 crore last year from US-based State Street Global Advisors. Norwest Venture Partners, Goldman Sachs and Zodius Venture Partners are some other investors in PepperFry.